As part of our focus on highlighting new enterprises we take a look at the latest international start up to launch in Madrid – LuggageHero which has already had phenomenal debuts in New York City, London and Copenhagen is coming to the Spanish capital this month. LuggageHero works like this: You arrive in Madrid hours before your rental is ready and you want to explore the city without dragging around your bag. You go to luggagehero.com to locate a convenient storage site inside a verified shop or other business, reserve your spot, show up, and check in your luggage. Your bag will be secured with a tamper-proof seal, and you’re free to go have fun! Since Luggage Hero launched in 2016, its customers have racked up a total of more than 750,000 hours of bag storage. Each piece of luggage and its contents are insured for up to €2,500 euros. 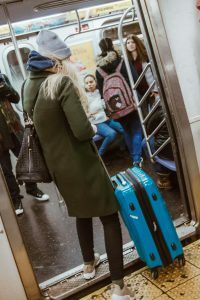 The service is especially popular among users of Airbnb and other non-hotel lodgings, which do not offer luggage storage. Storage sites are plentiful and convenient. Situated inside existing locations, including retail outlets, hotels, cafes, and more, they are part of our strong sharing economy. All are vetted by LuggageHero’s local employee, who performs regular quality checks. There are no fees are charged until luggage is dropped off. 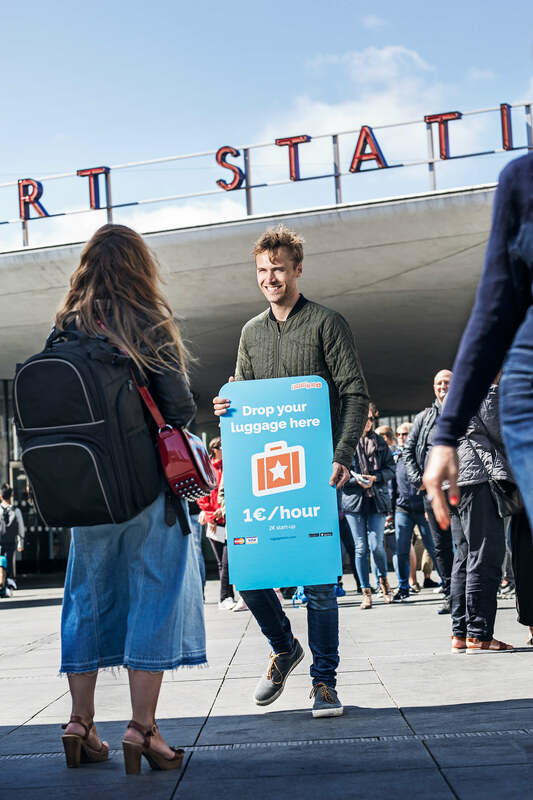 Users are then charged €1 per hour with a maximum of €10 per day per piece of luggage first day, plus a one-time handling fee of €2 per bag. This includes security seals and €2500 euros of insurance per bag and contents. Danish founder and CEO Jannik Lawaetz started his luggage-storing service in 2016 from personal experience. “When I stayed at an Airbnb in Barcelona, I had no options for leaving my luggage anywhere after checking out, so I had to lug it around London,” says Lawaetz. On the other side, when he was an Airbnb host in his home city of Copenhagen, more than half of Lawaetz’s guests asked for a place to leave their bags on checkout day. Since Lawaetz debuted LuggageHero, he has grown the network to more than 450 drop-off points. Welcome to Madrid Luggagehero! Use promotional code ilovemadrid until March 31st for 1 free hour and no handling charge.